Brian Thacker Travel Writer | The best breakfast in the world. 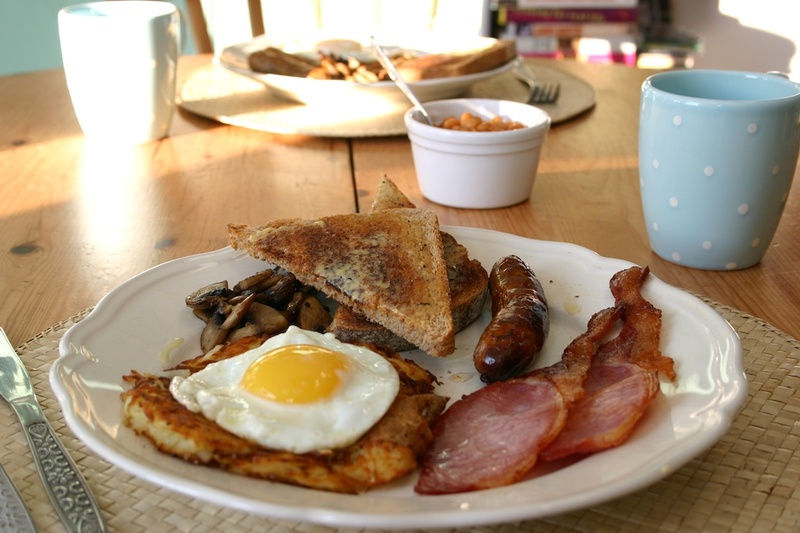 I’ve had many a good English fry up – and not only in my travels, but also as my favourite hangover cure. My favourite, however, was at a little B&B in Shotley, Suffolk that I stayed in with my dad for my book I’m not eating any of that foreign muck. 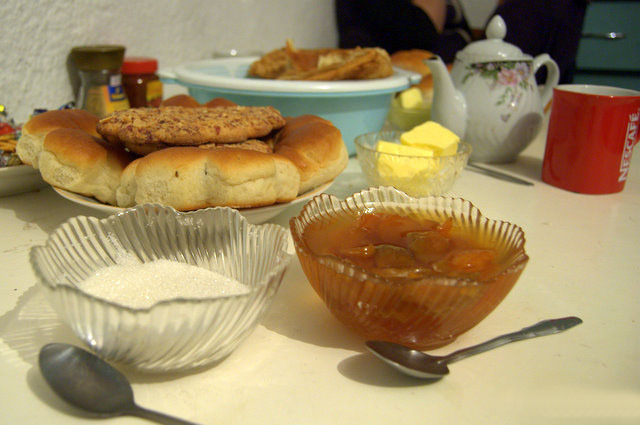 The bread was homemade, the eggs were freshly collected that morning and the bacon and pork sausages were also fresh because the B&B was also part of a pig farm. My dad asked the owner if they just went outside with a knife and sliced a few bits off a nearby pig. We were staying at Hotel Esencia on our honeymoon and we were so excited every morning heading to the poolside restaurant for breakfast. We couldn’t decide which breakfast was your favourite, though. Beth loved the stuffed peppers, but I couldn’t go past the Huevos motuleños, which was sunny side up eggs, refried black beans, bacon, salsa motuleña, peas and some sort of yummy cheese. I liked it so much that one day I even asked if it was possible to have it for lunch – only a few hours after I’d had it for breakfast. Muesli. Bircher Muesli. Besides the fact that you are sitting in a revolving restaurant high up in the Swiss Alps with one one of the most stunning vistas I have ever seen, the James Bond Breakfast alone is worth the three cable car journey from way down in the valley floor. 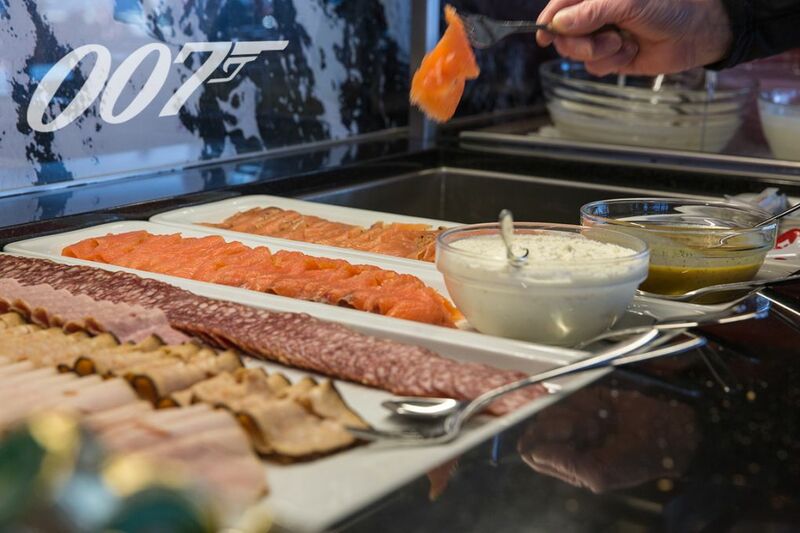 You start the breakfast with a glass of sparkling Prosecco then hit the ‘James Bond breakfast buffet’ with assorted breads, rolls and croissants, local cheese and sausages, fresh smoked salmon, crisp waffles with maple syrup, scrambled and boiled eggs and, my favourite, Birchermuesli. And best of all, when I was working as a ski guide here I would do this every Friday morning and then, with a very full stomach, ski down from the top down one of the most difficult runs in the resort. Boy have I eaten a lot of banana pancakes in my travels through South East Asia. It was hard to pick a favourite, but you can’t beat a 5-star banana pancake. 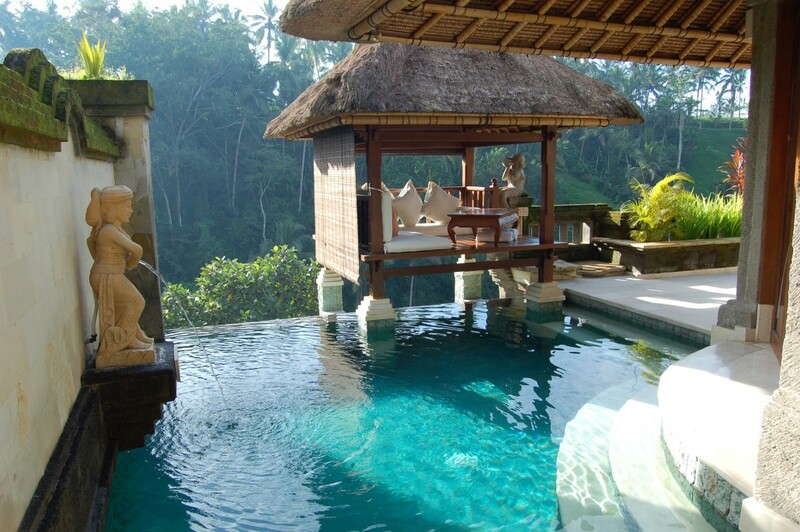 And particularly when it’s served up in your own private breakfast ‘hut’ by your very own private pool. What’s not to love about fried dough and a big cup of melted chocolate for breakfast. 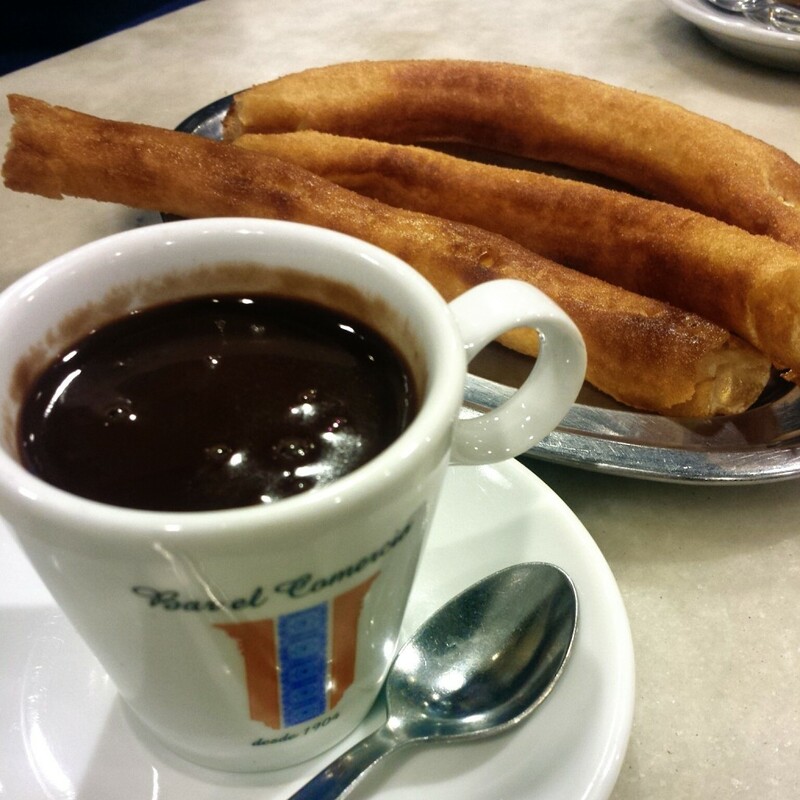 Many claim they have the best churros in Seville, but this charming bar (which was founded in 1904 and is still part of the same family) regularly gets the gong for the best churros in Seville. You have to get their early because crowds of regulars fill the place and they are all chowing down on the thick sticks of fried dough. Wow. That’s what I said when the waiter kept putting plate after plate on to the table. 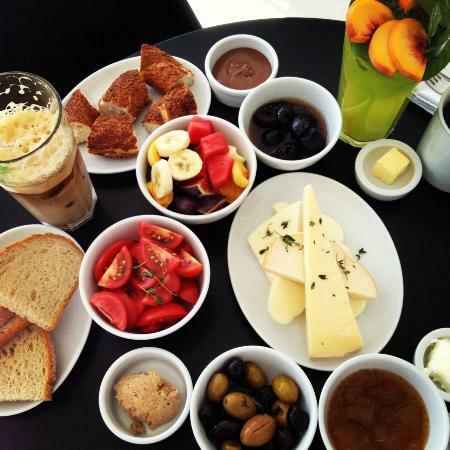 Breakfast at Mangerie overlooking the Bosporus included a lavish spread of eggs, sheep-milk cheeses, olives, cucumbers, tomatoes, warm sour dough bread, local honeys and jams and a chai to wash it all down with. This also gets the gong for the biggest breakfast I have ever eaten (or attempted to eat – I only got about a third of the way through it). I was staying with a friend in LA and his parents took me for an early morning drive out into the countryside to a pumpkin farm that was famous for it’s breakfast. 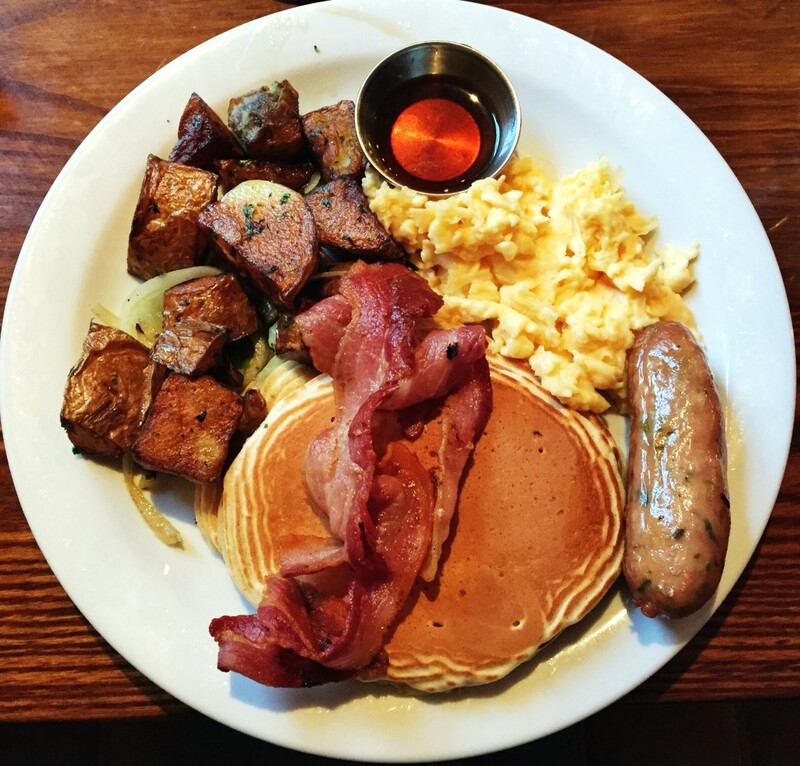 Not only was there a massive pile of pancakes on my plate covered with bacon and maple syrup, there was a ‘six-egg’ scrambled eggs, sausages, bacon, hash browns and (I’m not joking) a rack with a dozen slices of toast for three of us! 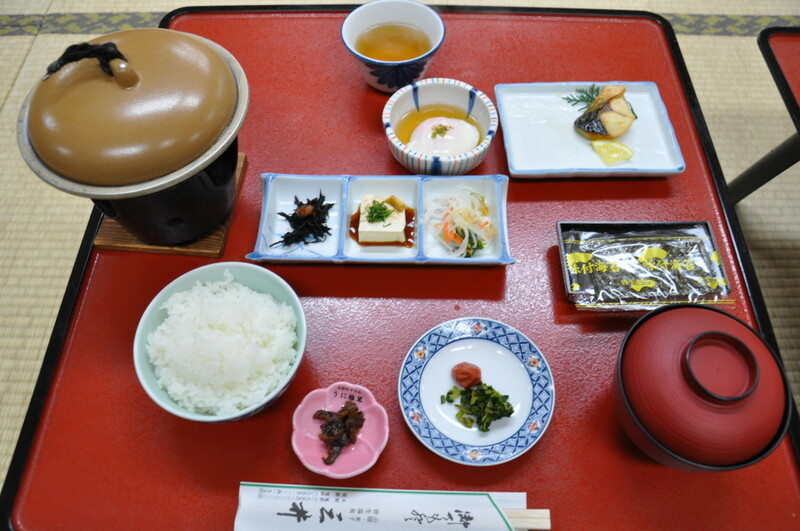 I stayed in a traditional ryokan in Kurashiki (near Okayama) and breakfast was served in my room. My bed was whipped away and packed away into the wardrobe by two women while my breakfast was laid out on a small table in the middle of the room. I’d tell you what everything was, but half of it I had no idea and the staff didn’t speak any English. There was some dried fish and rice and seaweed and I had no idea, but I ate it all and it was delicious! Kyrgyzstan is world famous for it’s jam. That’s what many locals told me in my travels around Kyrgyzstan. And I think I would have to agree with them. I had it for breakfast most mornings and each one was homemade and fresh and full of fruit. I did pass up on the offer for a vodka shot at breakfast, though. 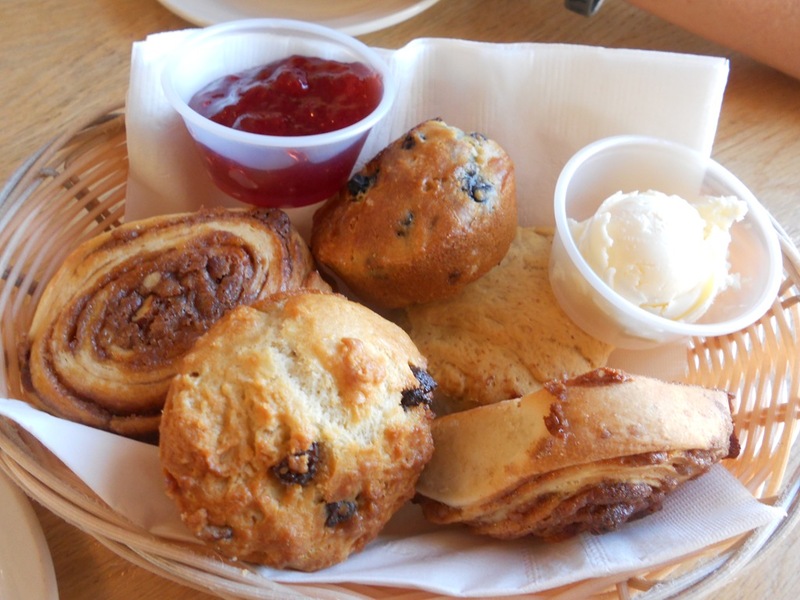 The Bread basket is the most popular breakfast item on the menu at Tecolate in New Mexico, but there isn’t a single slice of bread on it (the restaurant’s slogan is ‘Great Breakfast – No toast’). You get a blueberry muffin, chocolate chip muffin, cinnamon rolls, and honey biscuits. And a heart attack. They also do an amazing breakfast burritos, too. I wouldn’t recommend ordering both, though, unless you want to be rolled out of the place. 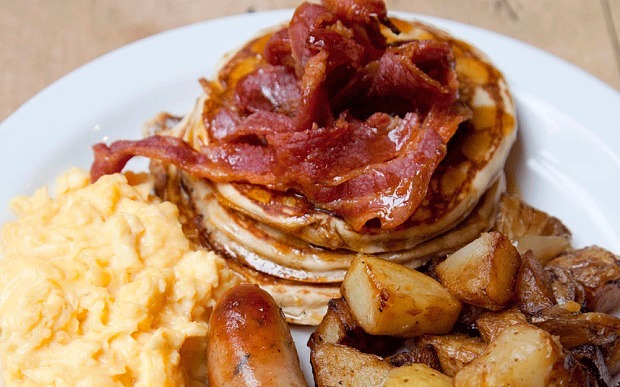 What’s you favourite breakfast from around the world? What a great collection – AND you remembered to take photos before you ate!! Happy memories of many great hotel breakfasts over the past 12 years or so! 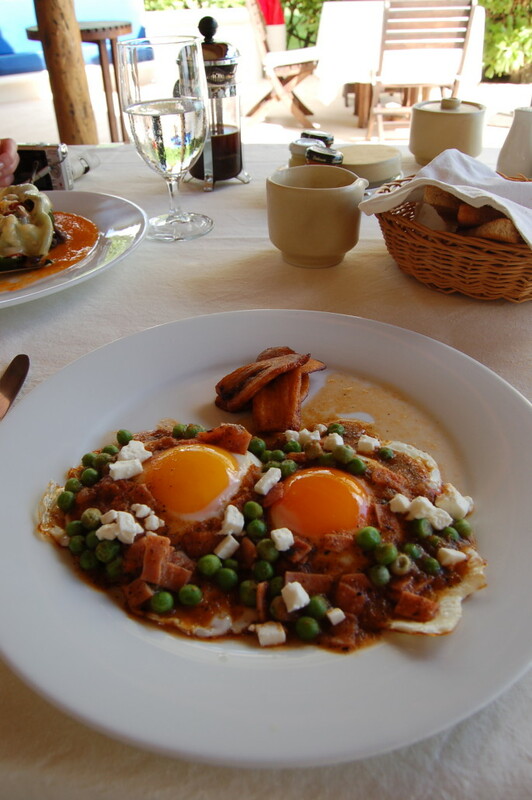 The most amazing I’ve had was in Papeete, Tahiti where the French/Continental style was a large dish of croissants. The French travellers immediately snapped up all the chocolate croissants – American breakfast was my selection! Oh, I love a good croissant as well and have snuck quite a few in my bag at hotel breakfast buffets over the years (for a mid morning snack!). Travels in my Shoebox – Entrance Tickets The world’s best sporting events.